At the recent USAPEEC Winter Meeting, Christine McCracken the Executive Director for Rabobank and USAPEEC president Jim Sumner expressed concern over the predicted increase in broiler output relative to export volume. Sumner noted that turkey and egg exports continue to outpace production. In contrast domestic broiler production is increasing faster than export demand. The USAPEEC is urging the U.S. Trade Representative to conclude a trade agreement with Japan which is already operating under a free trade agreement with the E.U. Sumner noted that ASF in China is a wild card which could create opportunities for export of poultry meat but this will require resolution of the ongoing trade impasse. In reviewing the world situation, Sumner noted increased exports to India with Senegal, Indonesia, Nigeria and Tunisia also prospects to be considered. The potential for Thailand to receive U.S. turkey meat is under consideration although the country is a significant exporter of broiler products. Resumptions of exports to South Africa based on rescission of the tariffs on steel and aluminum is anticipated. Mexico cannot be taken for granted even with ratification of the USMCA. Brazil has made inroads into the market using non-tariff allocations granted a number of years ago when domestic supply in Mexico was limited by avian influenza. The tariff-free quota was extended during the acrimonious NAFTA negotiations that eventually cumulated in the USMCA. 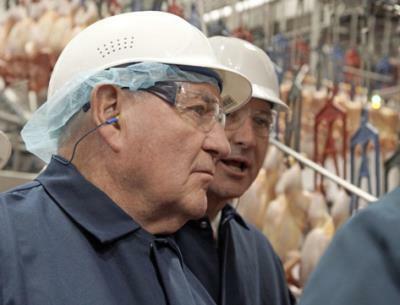 The U.S. broiler industry is limited in international demand since it exports leg quarters, an undifferentiated commodity devoid of potential for added value. This is exemplified by progressively decreasing unit value despite the illusion created by increased volumes.